Are you interested in borrowing money to invest over time? After crunching the numbers, Canstar has awarded four margin loans with a 5-Star Rating for 2019. What Does A Margin Loan Cost? Canstar examines the average interest rates and fees that apply to margin loans. What is a margin loan? A margin loan lets you borrow money to invest in shares and managed funds. This means you can invest more money than otherwise, so your invested funds are leveraged or geared to work harder. 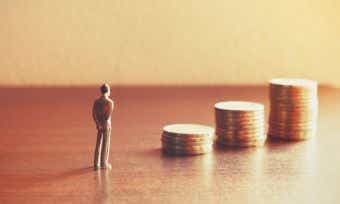 On the other hand, a margin loan also has the potential to magnify your losses if your stocks or funds lose value, because you still have to repay the full loan plus interest. 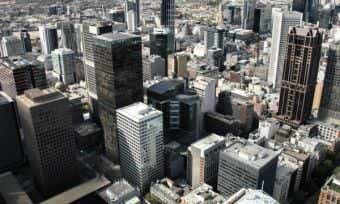 According to Reserve Bank (RBA) statistics as of September 2016, there are approximately 132,000 margin lending accounts in Australia, with a collective $11.57 billion worth of loans being utilised. How do margin loans work? When you take out a margin loan to buy shares, the lender’s security is in the shares you own. So the lender has the right to sell your shares to repay the loan if your shares lose too much value, you are unable to pay off your loan, or you fail to pay a margin call. This is a lot to do with your ‘LVR’ or loan-to-value ratio (a.k.a. loan-to-valuation ratio). When a loan is being used to invest in something that is the security for the loan, lenders will only lend a percentage of the purchase price of that investment. If your LVR is too high, this will trigger a margin call. Learn more about margin loans and margin lending trends in Australia in our CANSTAR Guide. When it comes to choosing a margin loan, you should definitely compare your options and shop around. Since margin loans carry a significant financial risk, you need to look for a great value loan that suits your needs. To a certain extent, value for money with a margin loan depends on how much and how often you invest. Margin loan borrowers should also look for a low price and features that make their loan more easily manageable. The first thing most people consider when choosing a margin loan is simply their trading platform, but the interest rate charged on a loan makes a big difference. With the official cash rate dropping, interest rates on margin lending have also lowered significantly over the past few years. 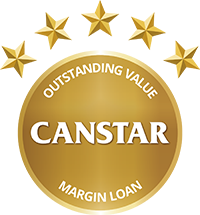 Find out the current interest rates in CANSTAR’s latest margin loan star ratings. Price isn’t the only factor to consider, of course. Visitors to CANSTAR’s margin loan comparison tables frequently search for features such as the ability to use international shares as security and being able to sell/short put options. Another interesting feature to look at is the number of ASX stocks that can be used as acceptable securities with the various margin lending providers. Learn what to look for in a margin loan and how to compare margin loans here. Or for more details about the way we rate various features, read the methodology in our latest margin loans star ratings report. Please note that these are a general explanation of the meaning of terms used in relation to margin loans. Loan policy wording may use different terms and you should read the terms and conditions of the relevant lender to understand the inclusions and exclusions with that loan. You cannot rely on these terms to the part of any loan you may take out. You should refer to the product disclosure statement (PDS) for the relevant margin loan. For further terms used in relation to share trading, see our Online Share Trading glossary of terms. Approved securities:A lender’s list of securities (shares and managed funds) against which they are willing to lend money. A maximum LVR will be assigned to each approved security. Asset:A resource that is controlled by a person because they own it or own an interest in it. Brokerage: Fees you pay a stockbroker for them to buy or sell shares for you. Buffer:Lenders will generally allow your LVR to exceed your limit by a certain percentage before making a margin call. The buffer is typically 5% to 10% above the maximum LVR. Equity access loan: A margin loan that allows an investor to use a portion of the credit limit in their home loan (their “equity”) as security for their investment borrowing. LVR (Loan to Value Ratio or Loan to Valuation Ratio): The amount you can borrow, represented as a percentage of the value of the property you are buying, which is being used as security for the loan. Margin call: An order from your broker or your lender for you as an investor to pay the difference between the value of your stocks and the balance of your loan. This amount can be paid by cash or by transferring stocks into your portfolio, but if you cannot pay, your broker or lender will sell your stocks to pay the amount. A margin call is made at the end of trading if your stocks’ value has fallen below the amount of your loan balance plus your borrowing buffer amount. Negative gearing:When the income produced by the investment (dividends from shares) is less than the interest being paid on the loan used to buy the investment. This is usually an available tax deduction. Security: An asset that is offered as insurance or a guarantee to pay the loan. A loan may be secured or unsecured. In the case of margin loans, the security for a secured loan is usually the investor’s share or managed fund portfolio. 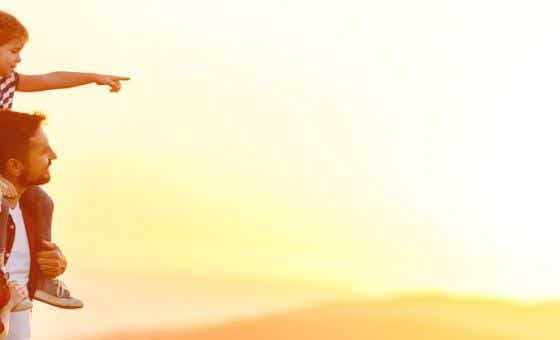 If a borrower cannot repay the loan or meet a margin call, the lender has the right to sell the secured shares or managed fund portfolio as payment. Shares: A portion of the ownership rights to a company. Shareholders receive a portion of the profits if the company does well, in the form of dividends. However, if the company does poorly, the shareholder has effectively lost money. Also known as a company’s “stock”. Compare margin loan providers using the comparison tool at the top of this page. Margin loan profit: what′s the growth level you need? What is “Financial Planning Week”? What Is The Risk Of A Margin Call? Is it worth borrowing money to invest? What is a margin call? What′s the difference between good and bad debt?